Formed in 2015 as a new rudo trio and quickly won the AAA World Trios Championship. Los Xinetez was known for having a rudo versus rudo feud with Averno, Chessman and Ricky Marvin through out 2016. 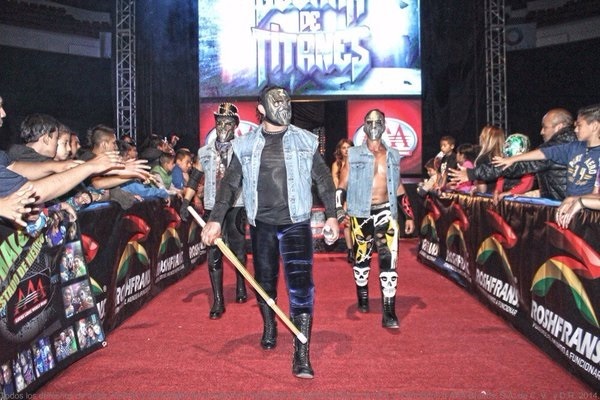 Los Xinetez disbanded in early 2017 when Zorro left AAA, however Escoria and Cuervo continued on as a tag team. This page was last edited on 31 July 2018, at 19:28.